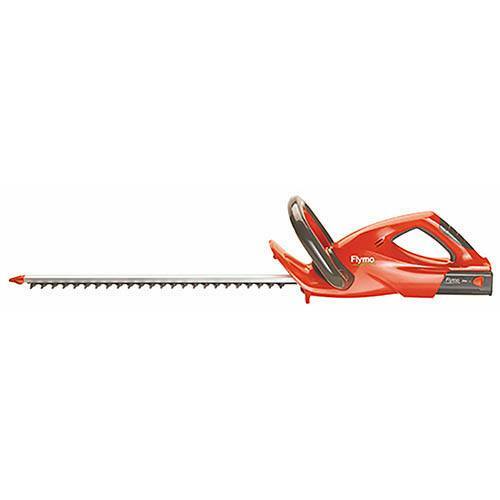 The Flymo Easicut 500CL Cordless Hedge Trimmer has a 50cm double action blade with a powerful motor for tough cutting. Giving a quick and easy way to trim hedges. Lightweight with an ergonomically shaped handle plus bade protector for safety.